SEATTLE, WA, U.S. — Today, La Marzocco, world leader in espresso machine innovation since 1927, introduced the KB90. This revolutionary machine named after the former La Marzocco International CEO and now Chairman of the Board, Kent Bakke, is designed for the barista, providing a faster work-flow, easier cleaning and advanced ergonomics. 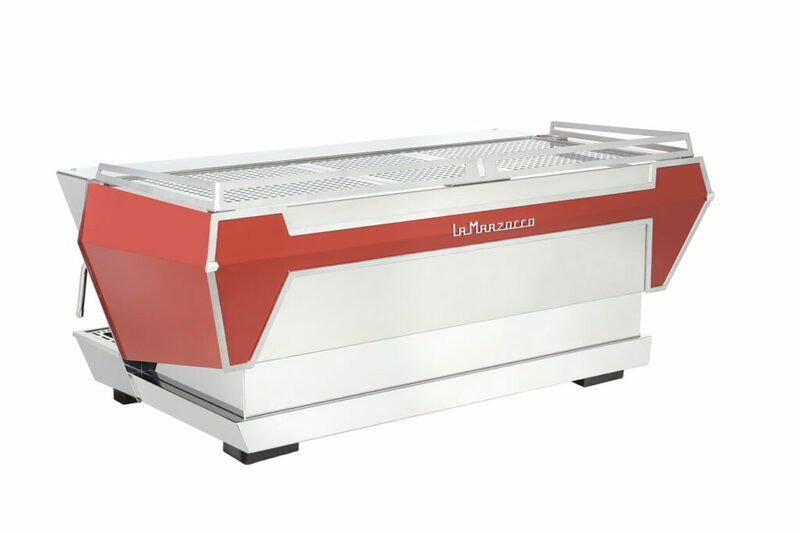 KB90, designed to represent the curves in the shield of the La Marzocco Lion, is the ultimate evolution of the Linea PB. 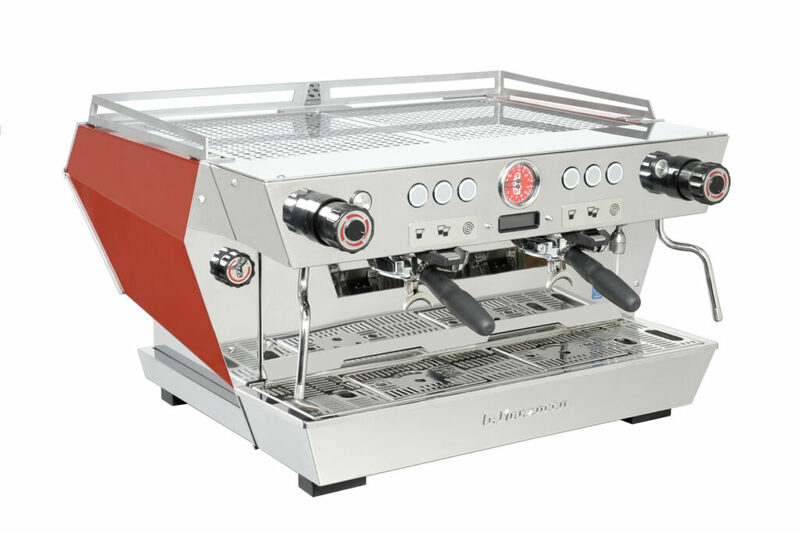 The KB90 has the same interface as the Linea PB which provides familiarity to baristas and will greatly improve work flow and provide upgraded technology around cleaning systems. 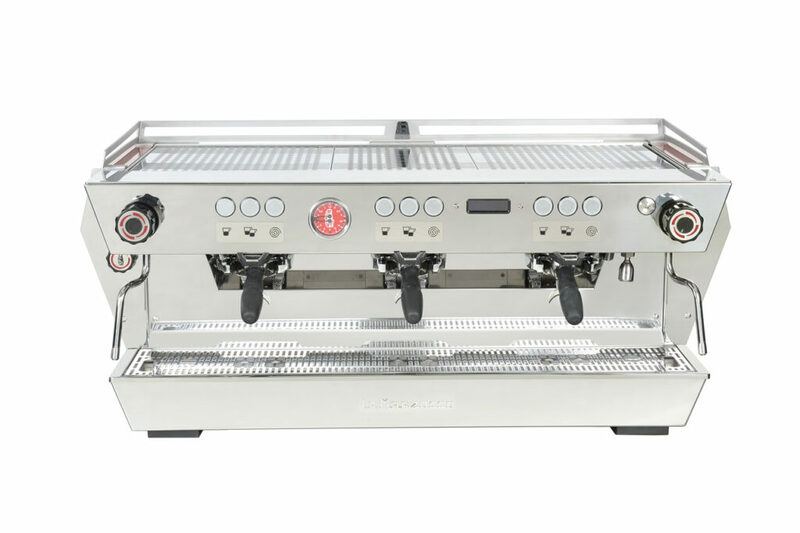 The KB90 has two stand out features: the Straight-in-Portafilter and the Auto-Flush system. Both new features help the busy barista with speed of execution and ergonomics. In considering the needs of high volume cafes and their baristas, La Marzocco redesigned the portafilter system to reduce wrist strain of the user. The innovative portafilter insert system eliminates the bayonet-ring twist, greatly improving ergonomics and reduces the risk of wrist injury by simplifying the fine motions of the barista. The machine’s Auto-Flush system automatically purges the group with water and steam, removing the need for the barista to push another button and increasing the cleanliness of the group over the course of service. It removes coffee residue much more effectively for better tasting espresso. KB90 also comes with Drip Prediction technology, 3-Button User Interface, and Auto-Volumetrics. It features intuitive and reliable electronics developed to provide intuitive feedback over machine parameters. The KB90 is equipped with the trusted and tested components of the Linea PB, making it easier for technicians to perform service without requiring new parts inventory. In true La Marzocco fashion, the outer shell of the machine is designed to be aesthetically pleasing as well. Inspired by fast and iconic cars from the 70s, KB90 has a retro shape and comes in red, a celebratory color of their recent 90th anniversary. 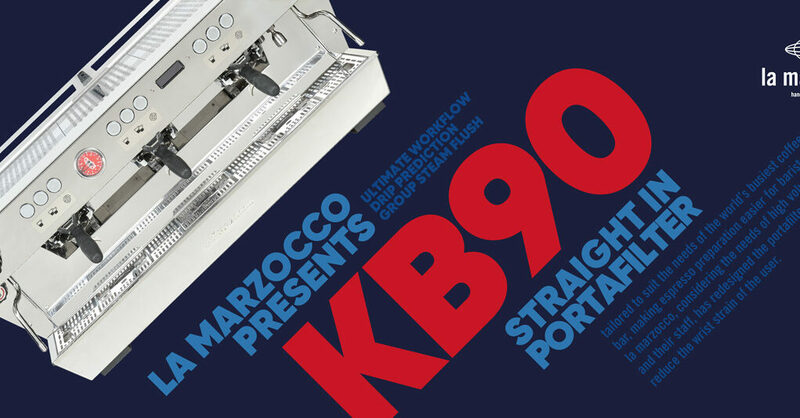 La Marzocco USA will be presenting the KB90 at the La Marzocco Café in Seattle on Monday February 4 with a special event starting at 6:30 pm. The Launch Event will feature a product overview and a presentation from Mr. Kent Bakke on the creation of the machine and specifically the Straight-in Portafilter. Named for the symbol of Florence, Italy – the seated lion – La Marzocco has been the leader in espresso machine innovations since 1927. For the last 90 years, each La Marzocco espresso machine has been assembled by hand in Florence, Italy, and today La Marzocco espresso machines can be found in the finest cafes and restaurants around the world. A shared passion for tradition and the search for quality and superior reliability continue to distinguish the company. In addition to its commercial offerings, La Marzocco also extends to the home with La Marzocco Home, through which coffee enthusiasts can explore the craft and science of espresso, using the highest quality, professional-grade equipment designed for the home. In 2016, La Marzocco launched the La Marzocco Café that showcases a different coffee company from around the world every month in Seattle Center in the United States.